Grand Teton National Park has spectacular sights, and Hidden Falls is at the top of the list. 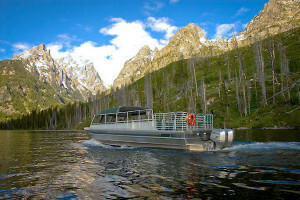 Grand Teton scenic boat tours on spectacular Jenny Lake. Wildlife sightings and photography opportunities abound. 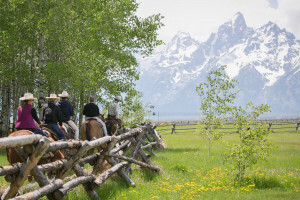 A perfect family activity when visiting Jackson Hole! Hidden Falls Wyoming can be found just west of Jenny Lake in Grand Teton National Park. Hidden Falls is only accessible during the summer season. An easy family activity, hiking, sightseeing and wildlife viewing can be enjoyed at Hidden Falls. 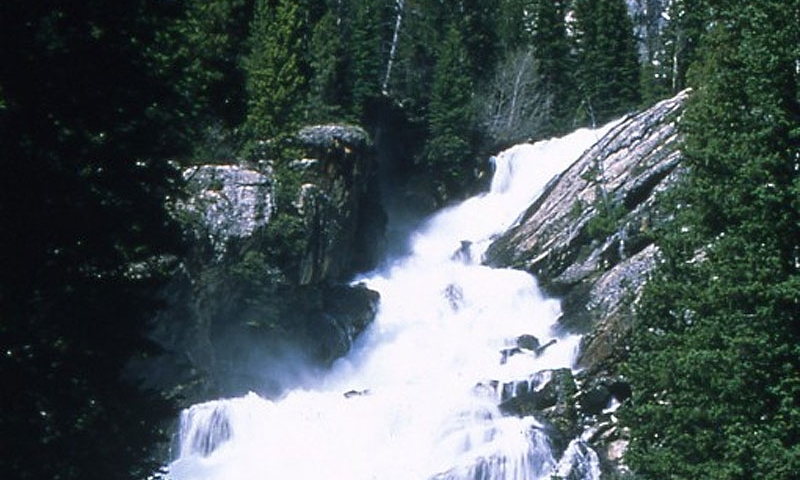 Located near Jenny Lake in Grand Teton National Park, Hidden Falls is a spectacular 80-foot-high cascade. Easily accessible by Jenny Lake Trail or a hop over on a boat shuttle, it is one of the most popular park attractions in the summer. Hidden Falls can be found just west of Jenny Lake in Grand Teton National Park. There are actually two ways to get to the Falls. One is by a shuttle boat from the Jenny Lake east shore boat dock at the southeast end of the lake. The second route to get to Hidden Falls is by hiking around the south end of Jenny Lake to the trail to Cascade Canyon (this adds four miles roundtrip to the hike). No matter how you approach Hidden Falls, it is going to involve some hiking. 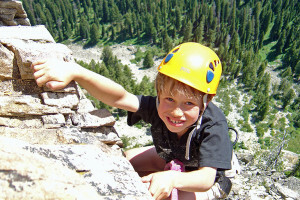 Hiking, sightseeing and wildlife viewing are the chief activities associated with Hidden Falls. Hidden Falls is not really a falls, but a 200-foot cascade. While at Hidden Falls, it is well worth an extra .5-mile hike to Inspiration Point for a magnification view of the Jenny Lake, Jackson Hole, the Gros Ventre and Wind River Mountains. One of the top highlights of Yellowstone National Park.